Whether you are in the market for all new flooring, or just need to add something to an existing floor - area rugs might be just what you're looking for. You can use an area rug to change the character of a room; to define a space; to add a touch of softness and sound absorption or to deliver a colorful finishing touch. 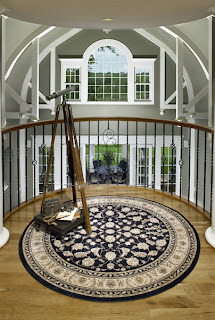 Area rugs are most often installed on top of hardwood or tile floors but can be added to carpeting as well. 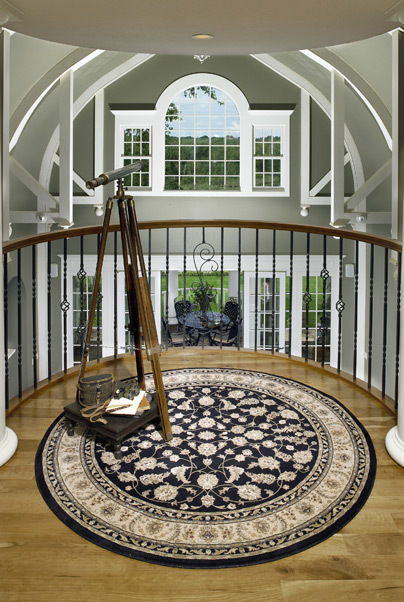 Area rugs are versatile flooring options that are also beautiful works of art. Kermans has been Indianapolis' area rug expert for decades so when you're in the market for an area rug you need to visit Kermans Flooring. You'll likely have some questions about how an area rug fits in your lifestyle and home. The experts at Kermans have the answers. Are all area rugs the same shape: rectangular? Area rugs come in all shapes and sizes from long rectangles to smaller circles and everything in between. Whether you are looking for a traditional rug, a transitional piece or need a more contemporary feel, Kermans Design Consultants can help you find the style that fits your needs. What's the difference between a hand-knotted rug and a machine-made rug? Rich in history and hue, Oriental area rugs are the aristocrats of area rugs and are prized in any design scheme. Kermans carries traditional jewel tone rugs as well as a wide variety of more modern earth tones. Authentic hand-knotted Oriental area rugs may take years to create, but can wear well for more than a century. In recent years, machine-made rugs have gained in popularity and are often indistinguishable from hand-made rugs. Kermans is proud to carry the highest quality machine-made rugs from the leading dealer in the industry: Karastan. Each carries a 20-year warranty. Should the furniture be half on the rug, completely on the rug, or not on the rug at all? There is no single answer. For a large area rug you may choose to place the furniture can be half on the rug, completely on the rug, or not on the rug at all. A small rug can simply add interest under your coffee table. Isn't an area rug difficult to maintain? It's true that an area rug is a work of art - but it's a work of art that is meant to be walked on! As you walk on your rug the layers of pile will start to break resulting in a shinier, smoother appearance. A good quality area rug is not easily damaged and with proper maintenance and cleaning, your area rug will be a beautiful, comfortable enhancement to your home for years to come. Review our area rug cleaning tips. Why should I buy my area rug from Kermans? Kermans is a family-run company with nearly a century in business focused on one thing – helping your family make your house a home. Our consultative approach to serving our customers contributes to our longstanding success and positive reputation in the business. Our designers are available to help you with your selections at no charge and our showroom offers the selection and pricing you need. Bring in this page and receive 20% off your area rug purchase! We welcome your questions and look forward to helping you find just the right flooring - whether it's hardwood, carpeting, tile, area rugs or some combination of them all. Check out our Area Rug Buyer's Guide to learn more about our hardwood floor options. Then visit our Indianapolis showroom to experience the Kermans Advantage for yourself.